Choosing a new MacBook Pro has gotten a little more complicated since Apple introduced the Touch Bar, as not everyone necessarily needs to have the secondary touch-enabled display. AppleInsider highlights the differences between the two models, so you can decide which one is right for your needs. For this comparison, we'll be focusing on the 13-inch MacBook Pro, since that's the only current-gen model where you can choose not to have a Touch Bar. If you haven't yet decided which size MacBook Pro to buy, AppleInsider previously discussed the topic in a 13-inch vs. 15-inch MacBook Pro comparison video. The first obvious difference is the price, with the base model priced at $1,299, though most users will pay for the $1,499 model as 128 gigabytes of storage is very limiting. The cheapest Touch Bar-equipped model costs $1,799, a pretty big premium in comparison, but it does include 256 gigabytes of storage from the start. In my case, it's rare that I need more than two ports at once when I'm on the move, since the battery life is great. The real port limitation kicks in when I'm at the office, when I need to connect multiple items to my MacBook. In this case, I have a 5K monitor that connects using a single Thunderbolt 3 cable, a display which also adds four more USB-C ports that can be used for connectivity. You don't have to spring for the expensive LG 5K screen to get this extended connectivity, as there are plenty of less expensive USB-C monitors on the market that can do the same. Some even provide USB-A ports as well. If you need the extra performance that a better discrete graphics card can provide, there's the option of adding an external GPU enclosure. While the enclosure alone is costly without the graphics card, the right selection can also add USB-A and Ethernet connections to the desktop at the same time as graphical power. 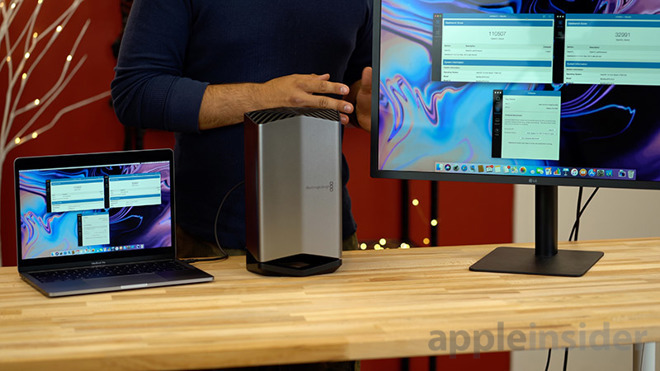 There's also the option of using a dock, such as the OWC Thunderbolt 3 Dock, that can provide tons of ports to use while also recharging your MacBook. If that's a bit too costly, a simple USB-C adapter like the VAVA USB-C 8-in-1 could give you a lot of the flexibility at a much lower price. The only time having two ports could be a limitation is if you need the bandwidth of two separate Thunderbolt controllers, and since one controller powers two Thunderbolt 3 ports, this means requiring the Touch Bar model. Generally, this would be the case if you need to use two 5K monitors, or a single 5K screen along with a high-end RAID storage system. It's likely most people needing this sort of high-bandwidth setup will opt for the more powerful but less portable 15-inch MacBook Pro, especially since the two extra ports on the Touch Bar model are actually slower, so you'll want to use the same ports that come with the base model for your high end use. Turning to performance differences, the new Touch Bar model has been updated to Intel's 8th-generation Core i5 quad-core processor, while the non-Touch Bar remains unchanged with the 7th-generation dual-core chips. While the two have the same base clock speed, the Touch Bar version has a higher boosted clock speed, and has more cores. Under GeekBench's testing, the single-core benchmark for the Touch Bar model was ahead of the non-Touch Bar version, achieving 4,602 and 4,524 respectively. For multi-core, the gap widened, with the Touch Bar MacBook Pro scoring 16,699 to the base model's 9,484. In single-core tasks, there isn't much of a difference between both models, so if you're someone like a student, who mostly just surfs the web and does homework, you won't notice much of a difference. On the other hand, the new Touch Bar model completely destroys the base model in terms of multi-core tasks, so this will help anyone who does a lot of video & photo editing, rendering, or other power-demanding tasks. For graphics, the new Touch Bar model packs an Intel Iris Plus 655 GPU, compared to the base model's Iris Plus 640. Despite the difference, there's not much of an improvement, with the OpenCL graphics test result showing the updated Touch Bar model scoring 32,831 to the base version's 30,944. One other interesting difference is that the 256 gigabytes of storage in the Touch Bar model is much faster than the 128 gigabytes in the base model. 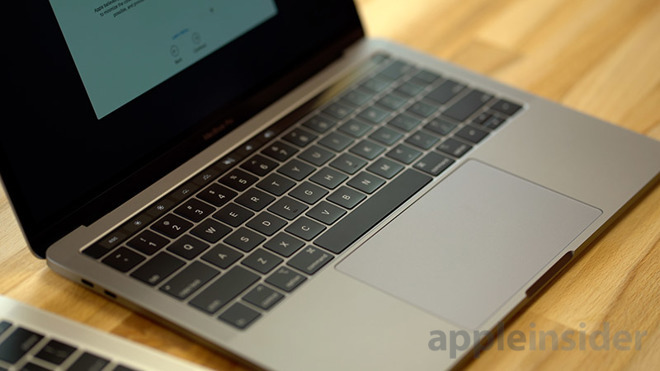 While the read speed of 2,500 megabytes per second for the Touch Bar version is a bit faster than the 2,246 megabytes per second recorded for the non-Touch Bar model, the 1,151 megabytes per second write speed is almost double the 681 megabytes per second on the cheaper model. 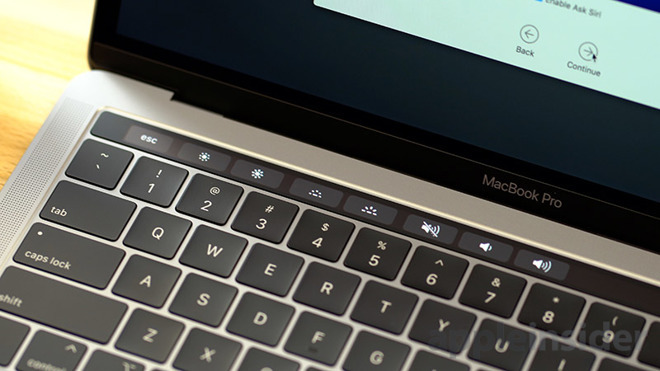 There's also the Touch Bar itself to consider, a feature we've been using since the MacBook Pro redesign in late 2016. At first we were excited and gave it a chance, forcing ourselves to use it, but over time we used it less frequently, and now it's only really used when forced, such as for brightness adjustments and other tasks that you would do with the standard top row of keys. Usually it's faster to just use keyboard shortcuts than to use the Touch Bar. At times, the extra Touch Bar menus actually get in the way, making what was once a single key press into a 2 or 3-step action. After one and a half years of usage, we ended up declaring the Touch Bar a gimmick. The last main difference is the Touch Bar's inclusion of Touch ID. It's a convenient and safe way to log in, and being able to use it for Apple Pay is very handy. That said, I don't really use it very often, as I rarely pay for anything with Apple Pay on my laptop, and most of the time my hands are on my keyboard, so I'd just quickly type in my password instead of using Touch ID. If you are someone that needs the extra security of Touch ID over a password, this alone could sell you on the Touch Bar model, but for us, it's not a huge deal. Instead, we'd love to see Apple implement Face ID on the MacBook, as it would make password entry almost non-existent, be more secure, and save you time. We used the comparable Windows Hello on the Dell XPS 13, and that is a "game changer." 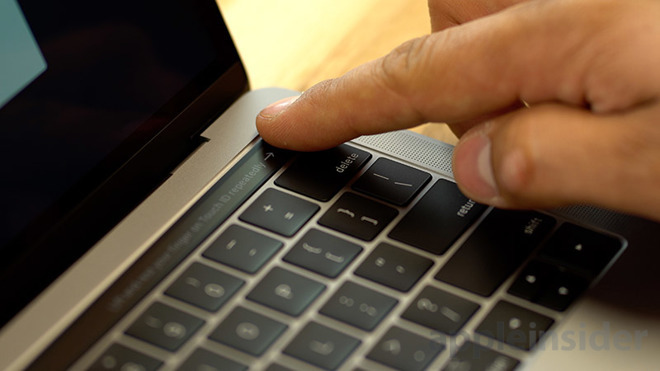 The Touch Bar model comes with a bunch of new features in the 2018 refresh, including True Tone display technology that can change the screen's coloring to match the local environment. In theory, this will keep the screen appearing the same regardless of where the MacBook Pro is moved to, lessening the blue coloring effect that can sometimes occur. The keyboard has also been updated with a third-generation butterfly mechanism, using a membrane to keep dust out of the keys while also making typing quieter. Other changes include better speakers and Apple's T2 chip, which takes a load off of the processor and SSD while also enabling "Hey Siri," making the new 2018 MacBook Pro the first Mac ever to support it. 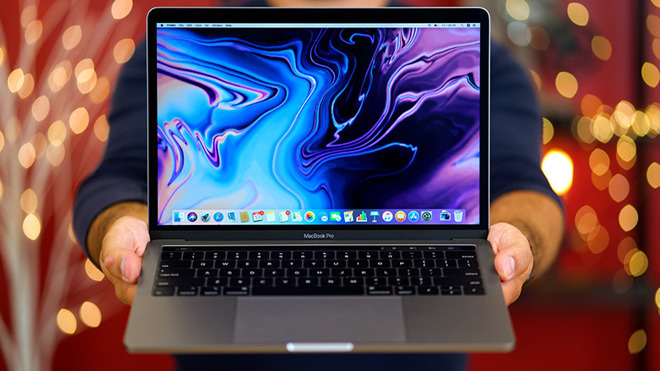 In conclusion, we think the base model is the better choice for most people, and is arguably Apple's best notebook overall, sporting a slim and light design that is also powerful enough for most uses. We own both a 15-inch Touch Bar MacBook Pro and a 13-inch base model, and the latter is my choice for most use cases. If you're interested in the 2017 13-inch MacBook Pro, Apple authorized resellers are also discounting every model by up to $250. Prices start at $1,099 for a limited time.